Tag Archives: New to the library? Many books are available electronically. This is indicated by the button ” Volltext@TUHH “. The link on this button leads to the download offer of the appropriate publisher. The content can be downloaded as a PDF as a whole book ( partly as EPUB for ebook readers ) or article wise, depending on the specifications of the publisher. For licensing reasons this is only possible from the intranet of TUHH. 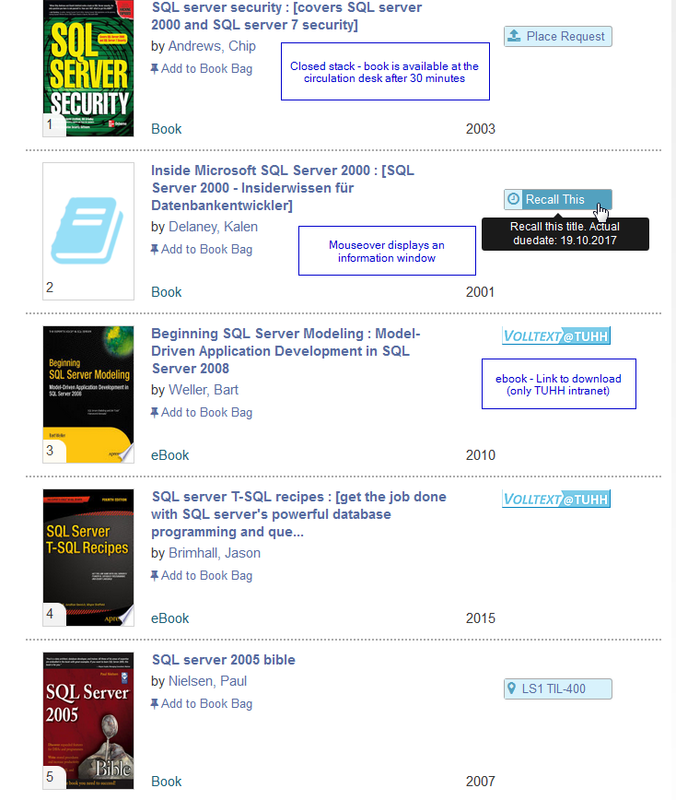 On computers with internet – login registered readers save their ebooks either on a USB stick or any cloud or even send it via email. Therefore there are no loan periods. 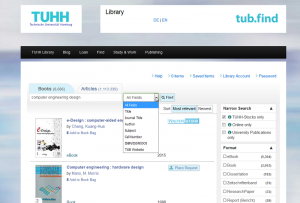 As a student at the TUHH you can download the ebooks on your own PC – however, a VPN connection has to be maintained. Most publishers offer an access via “Shibboleth” (without VPN) too. Klick here for further information of TUHH intranet and use of e-media! Posted in Digital World, News	| Tagged digital library, e-books, New to the library? Our catalog tub.find will help you to find the information you need for your studies. It shows over 450.000 media, their location and availability in the tub. – and all this at a glance! In the hit list you will already see what can be borrowed, requested or reserved (free of charge). Too many or not enough hits? You can borrow books at the circulation desk (magazine issues may not be borrowed), but also in self-service at the white selfcheck-system. Check out and check in of media on the machine are possible throughout the opening hours to 9:00pm and also at weekends, including Sundays and public holidays till 8:00pm. Simply put on books (also in stacks), press “Borrow”, read in or enter the barcode of the library card, authenticate with password – after the booking you close your account with a click on “Finished”. On the selfcheck-systems (near elevator) both check out and check in of media are possible. Check in also works without library card and authentication. If no other client has reserved the media, you can extend the loan periods up to three times in your library account online. Attention: please note loan period! When it is exceeded, fees will arise. The first time you visite our library you will surely notice this shelf in the entrance area – our special offer shelf. 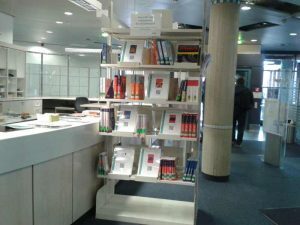 At the beginning of the winter semester it serves as a first semester shelf and offers a selection of books especially for first-year students – from the textbook to the collection of formulas. 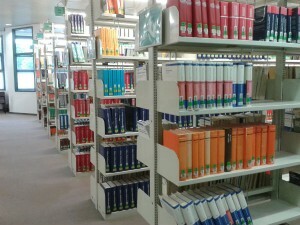 Further copies of these books can be found in the textbook collection. Posted in Interesting, News, University	| Tagged Library, loan, New to the library? Welcome at the Hamburg University of Technology (TUHH)! 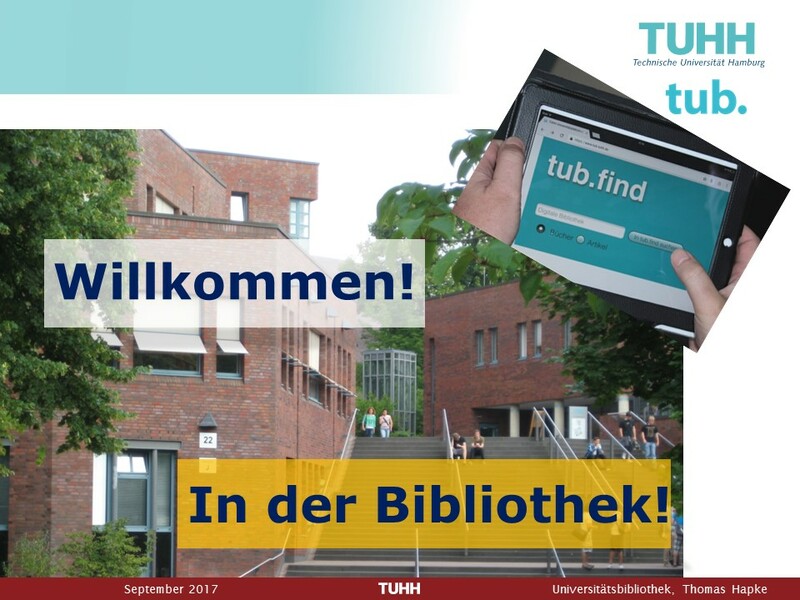 For new students the TUHH library (tub.) offers hints when being new to the library. A series of posts in the library’s weblog gives further advice. Many books are available electronically. This is indicated by the button ” Volltext @ TUHH “. The link on this button leads to the download offer of the appropriate publisher. The content can be downloaded as a PDF as a whole book ( partly as EPUB for ebook readers ) or article wise, depending on the specifications of the publisher. For licensing reasons this is only possible from the intranet of TUHH. On computers with internet – login registered readers save their ebooks either on a USB stick or any cloud or even send it via email. Therefore there are no loan periods. 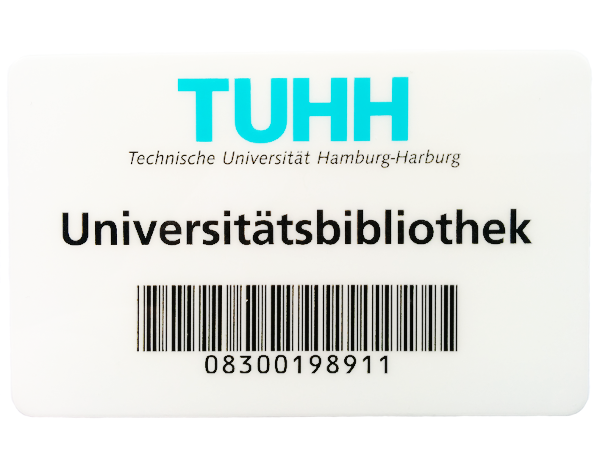 As a student at the TUHH you can download the ebooks on your own PC – however, a VPN connection has to be maintained. You can borrow books at the circulation desk (journals may not be borrowed! 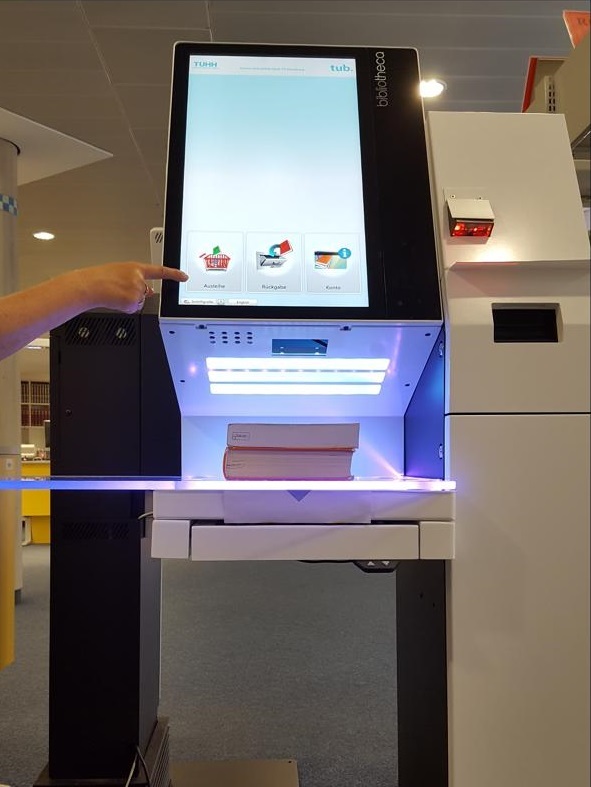 ), but also in self-service at the yellow selfcheck-system. Check out and check in of media on the machine are possible throughout the opening hours to 9pm and also at weekends, including Sundays and public holidays till 8pm! Simply put on books (also in batch), barcode of the library card has to be read, authenticate with a password – tap on button “borrow” and close account – done! On the selfcheck- systems (near elevator) both check out and check in of media are possible. Check in also works without library card and authentication.